Once the executive vice president of a Fortune 500 company, Renee Aymar left to start her own company, and just over a decade later Renee’s Royal Valet is one of the top limousine services in the country. The company’s fleet offers top-of-the-line amenities for a luxurious experience for bridal parties, couples, or families. The chauffeurs dress up for the occasion and make sure wedding parties and guests get where they need to go. If Cinderella lived in Minnesota, she would ditch the pumpkin carriage and ride off with Prince Charming in a custom-built Lincoln Town Car limousine from Renee’s Royal Valet. Or maybe she would choose an Excursion limousine with a tux-clad chauffeur. What would they enjoy more: the non-alcoholic champagne? A red carpet pulled out for the bride and groom? The plush wood-grain interior? Scott Hebl, owner of Renee’s Royal Valet, sees his transportation services as an extension of the wedding reception. Offering vehicles like Excursion and H2 limos that can accommodate entire wedding parties, his valets ensure that bridesmaids and groomsmen arrive in style and have time to commemorate the occasion as a group. “Truthfully, throughout the event the wedding party hardly gets to spend time together and enjoy each other’s company,” says Hebl. “This is a way for the bride and groom to enjoy their friends.” Throw in a courtly tuxedoed chauffeur who literally rolls out the red carpet, and it’s easy to see why Renee’s wins Minnesota Bride’s Best Transportation award year after year. Being declared the Best of 2009 is no small feat when you think about who casts the votes: brides and grooms planning the biggest day of their lives. According to over 4,000 online ballots, Renee's represents the best in the business when it comes to all things bridal in Minnesota. Being named the best of 2010 is no small feat when you consider who casts the votes: brides and grooms planning the biggest day of their lives. According to more than 6,000 online ballots, Renee's represents the best in the business when it comes to all things bridal in Minnesota. With nearly 10,000 voters through an on-line poll by MN Bride, Renee’s continues to represent the best in transportation when it comes to all things bridal in Minnesota. The award honors the dedication and creativity of local wedding professionals who have earned the respect and admiration of their clients and peers. A wedding is a work of orchestration at its best, with each individual part contributing to create a beautiful event. More than 10,000 of those happy couples logged into MN Bride Magazine to nominate the people who helped create weddings that were, in a word, symphonic. A wedding is the culmination of seemingly endless details: the gown that fits just right, intricate icing on the cake, keepsake favors for beloved guests and a romantic honeymoon getaway. It takes a team of experts to help every couple make their vision for the special event come true. This year, thousands of these happy couples voted for the people who made their wedding dreams a reality. Each Bride has a unique vision for the innumerable details that converge to create her wedding. From the flowing gown that falls just right and the luscious frosting on a delectable cake to dancing to the rhythms of an upbeat band to one-of-a kind keepsake photos, it takes a team of connoisseurs to orchestrate the big day. Now thousands of newlyweds are giving kudos to the experts who brought their visions to life, casting their votes to recognize the state's most talented wedding professionals in Minnesota Bride's Best of 2014. "What makes Renee's special is the staff. It felt like their main goal was to make sure we didn't have to worry about anything. They were very accommodating to our party and they literally rolled out a red carpet for us when we got on and off the bus. The bus was also decorated with lights and lamps in the back, which made for awesome pictures." Since 1992, Renee's Limousines has been synonymous with luxurious limousines, impeccable attention to detail and personalized service. Book your limousine well in advance, the same way you would with your venue." says president Chad Peterson. "Always ask to look at the limousine in person. You will not only understand what to expect reguarding the quality of the limousine, but you will gain insight as to how the company does business." An extensive fleet of luxurious vehicles and a high level of personalized service that leads to a carefree experience, from booking to the big day. "The No. 1 thing we suggest couples to do when selecting a transportation company is view the prospective limo or trolley in person," says president Chad Peterson. "It also gives you an opportunity to see firsthand how the company operates and how they treat you." Claim to fame: With a diverse fleet of luxury vehicles, Renee's Limousines has specialized in weddings for 25 years. Owners Chad and Angelique Peterson focus on attention to detail, well-trained chauffeurs, and a special event staff to ensure a care-free and memorable experience. Claim to fame: On the big day, transportation is much more than just a means of traveling from point A to B. 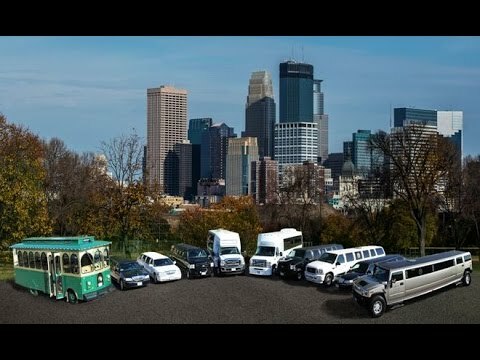 At this Minneapolis company, brides and grooms have their pick of a diverse fleet of luxurious vehicles. Owners Chad and Angelique Peterson have focused on weddings for 25 years and know that seasoned chauffeurs, attention to detail and special event staff ensure a carefree experience and lasting memories. Transportation is all about options, and the judges were amazed by the variety of selections at Renee's Royal Valet. "The sheer number of vehicles - from trolleys to coaches to limos - assures there is something for all types of ceremonies," said one judge. "They offer a wide selection of quality transportation, which is vital to any couple getting hitched." For the second year running, our judges unanimously agreed that Renee's Royal Valet is the top transportation provider in our twin towns. “The one and only!” exclaimed one judge. Its assortment of limousines, coaches, and trolleys offers brides a plethora of options to choose from for their wedding transportation. Plus, the exceptional service means one less thing you have to worry about when the big day rolls around. Talk about a three-peat! Renee’s Royal Valet once again wowed our judges with its expansive collection of cars, buses, limos, and trolleys, making it the transportation winner for the third year. Whether you’re looking for a luxe limo or a comfortable bus to shuttle your guests, Renee’s Royal Valet is the go-to resource in town for a ride with style. The Twin Cities transportation staple won the respect of our judges for the 4th year in a row. "Their endless options and longevity in the industry make it hard to beat," said one judge. "The amenities are what caught my attention," added another. Couples can choose from the company's fleet of limos, trolleys, and coaches in a bevy of different colors to find the perfect vehicle for their first ride as a married duo. Renee's Limousines earned the service industry's coveted Angie's List Service Award, reflecting an exemplary year of service provided to members of the consumer review service in 2013. Super Service Award winners are preferred among Angie's List members because only the top 5% of qualifying businesses per category, in each market, receive the award. Renee's Royal Valet - Limos, Coaches & Trolleys earned the service industry's coveted Angie's List Service Award, reflecting an exemplary year of service provided to members of the consumer review service in 2016. Super Service Award winners are preferred among Angie's List members because only the top 5% of qualifying businesses per category, in each market, receive the award. Real brides know best. Straight from the source, The Knot “Best of Weddings” is an award given to the top-rated wedding professionals across the country. Renee’s Limousines was voted “Best of Weddings” from local brides in the Minneapolis and St Paul area and "Best Variety" in Fall/Winter 2011 edition of The Knot Magazine. Real brides know best. Straight from the source, The Knot “Best of Weddings” is an award given to the top-rated wedding professionals across the country. Renee’s Royal Valet was voted “Best of Weddings” from local brides in the Minneapolis and St Paul area and "Best Variety" in Fall/Winter 2011 edition of The Knot Magazine. WeddingWire, the nation’s leading wedding technology company, is pleased to announce that Renee's Royal Valet - Limos, Coaches, & Trolleys is WeddingWire Rated 2011 for Transportation. WeddingWire Rated is an annual award program that distinguishes wedding vendors across the country for their excellence. Based on hundreds of thousands of recent wedding reviews, WeddingWire Rated is the most recognized and trusted brand among engaged couples looking to find the best local businesses for their wedding. 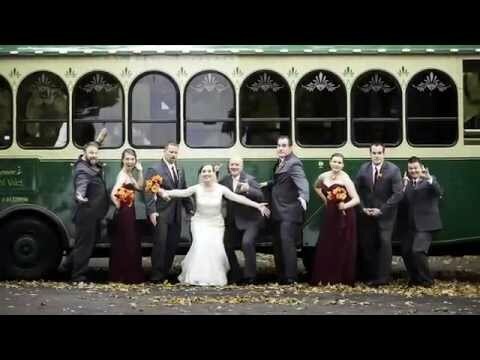 WeddingWire announces that Renee's Royal Valet - Limos, Coaches & Trolleys is WeddingWire Rated for 2012 for Transportation. WeddingWire Rated is an annual ratings program that recognizes wedding professionals across the country for their commitment to service and is the most recognized and trusted brand among engaged couples, as they start their search for local wedding businesses. The rating program is based on hundreds of thousands of recent newlywed reviews of over 200,000 wedding professionals in the U.S. and Canada, across 20 different service categories. The Couples' Choice Awards recognize the top five percent of wedding professionals on WeddingWire who demonstrate excellence in quality, service, responsiveness, and professionalism. The prestigious awards are given to the top local wedding professionals across more than 20 service categories, from wedding venues to wedding photographers, based on their professional achievements from the previous year. Renee’s Royal Valet has been named Operator of the Year by Limousine and Chauffeured Transportation Magazine. This national award honors excellence in management leadership, community service, industry involvement, staff training, fleet safety, and innovation among companies in the chauffeured transportation industry. With over 9,000 limousine companies nationwide, this award is coveted by members of the chauffeured transportation industry. LCT Magazine is the leading business publication in the chauffeured transportation industry and its annual LCT International Show is the most-attended industry event of the year. The Operator of the Year award was presented during a gala dinner event in front of hundreds of people representing limousine companies from all over the world. LCT Magazine created the Operator of the Year award to recognize leadership and innovation in the industry, and to cultivate and encourage greater standards of professionalism and entrepreneurial vision. Over the years, award winners have included many of the most highly respected and successful companies in the industry. MomentVille.com, one of the worlds leading wedding websites, has announced that Renee's Royal Valet has been selected for the 2011 Wedding Professional Hot List. Renee's Limousines is among the top 5% of all vendors in the WeddingWire community, which includes over 100,000 wedding professionals across the US and Canada. Awards were given to winners across 19 different service categories. We would like to thank our past newlyweds within the Twin Cities of Minneapolis and St Paul for nominating us for the 2010 Bride’s Choice Awards. Minneapolis Happenings is your source for everything happening in Minneapolis, with up-to-date of restaurants, events and people, their digital magazine is your local online destination for everything fun & exciting in and around Minneapolis. Renee's Limousines is honored to have won the Best Wedding Limousine Service for 2014! Minneapolis Happening is your source for everything happening in Minneapolis. With up-to-date local coverage of restaurants, events and people, our digital magazine is your local online destination for everything fun & exciting in and around Minneapolis. Renee's Royal Valet - Limos, Coaches, and Trolleys is honored to have won the 2015 Wedding: Limousine Service. This is the first Readers’ Choice win for Renee’s Limousines, a service-focused company founded in 1992. Vehicles in Renee’s fleet range from subdued and elegant to attention-grabbing, including a stretch Lincoln Town Car, a San Francisco-style trolley (with modern upgrades) and a custom-built H2 Hummer limousine with flat-screen televisions. Best Transportation winner - has garnered a number of awards, including one from us in 2011, and the Best Transportation winner in our sister publication Minnesota Bride 11 years running. "Renee's Royal Valet is known for providing a high level of personalized service, having impeccable vehicles, always being on time, and having top-notch chauffeurs who are well groomed and professionally dressed," says Chad Peterson, owner. "This makes us a favorite with many event planners." This year, the company is adding another trolley with room for more riders and another limo coach. Founded by Renee Aymar-Kosmatka, the company has been around for 24 years. "What makes us stand out is the diversity of our fleet and service options," says Peterson. "We have the ability to provide a unique client experience." Renee's Limousines has been chosen the Twin Cities "Best of Project Wedding 2008". As one of the top 5% of wedding professionals within the Twin Cities, Project Wedding awarded Renee's this distinction based on the talent and professionalism that has left a lasting impression on their clients. Minneapolis St.Paul "Best of The Twin Cities"
Renee's Limousines was awarded "Best Way To See Holiday Lights" in the 2009 Winter Edition of the Minneapolis St Paul Magazine. Talk about sightseeing in style. Every year, this charter limo service scouts the Cities for impressive holiday light displays and updates its planned tours accordingly. Your party can choose an East Metro or West Metro tour (Holidazzle optional) from the comfort of Renee's various limousines. And the limo service also provides glassware and ice in case you want to enjoy some holiday libations.